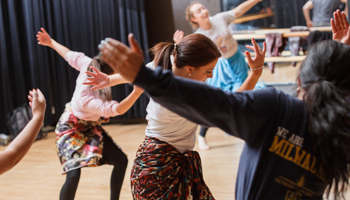 Students from across campus have the opportunity to express themselves through dance, whether in the classroom studio or as an extracurricular activity. 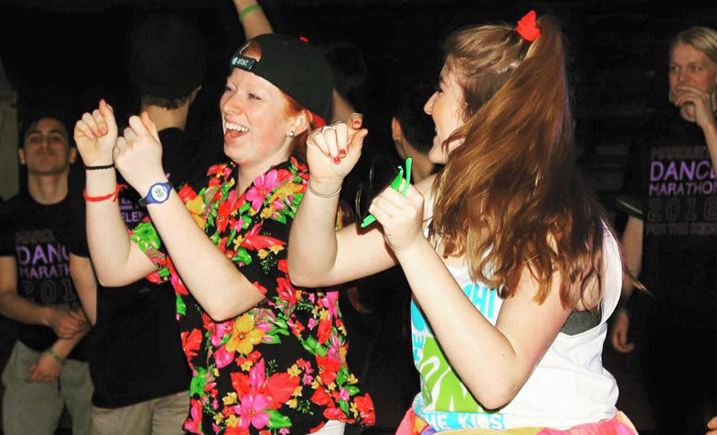 Participation in the performing arts has traditionally been an important aspect of Jesuit education. 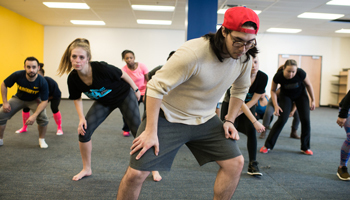 In the dance minor, students gain a broad understanding of a range of dance styles and techniques and then explore one area of dance further to gain more advanced training in a specific style of dance. 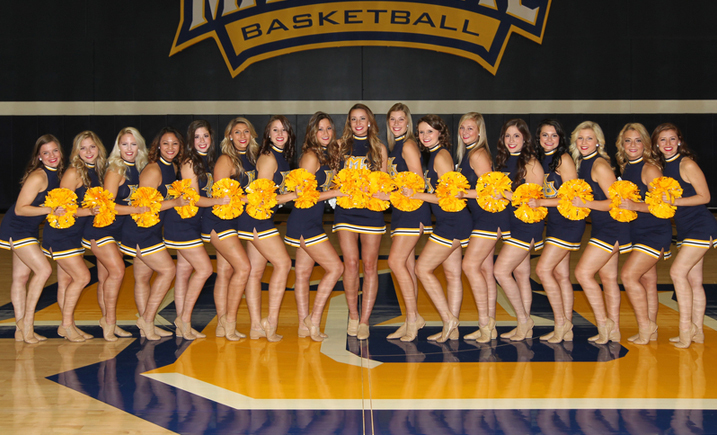 Learn pom, hip-hop and jazz, and dance in front of 18,000 fans at men's basketball games. 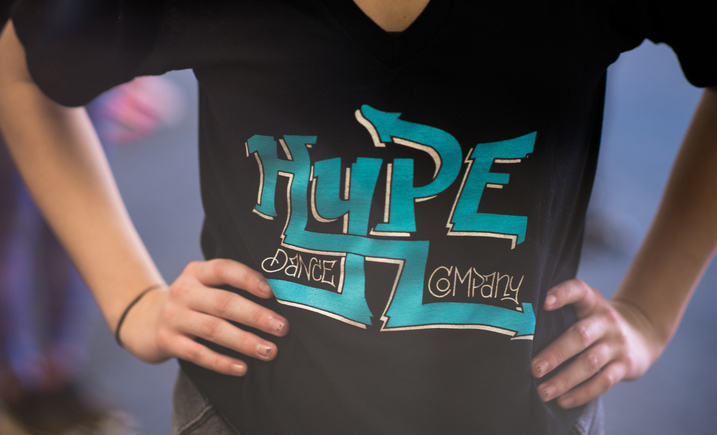 Learn hip-hop choreography, and perform at the semester showcase. 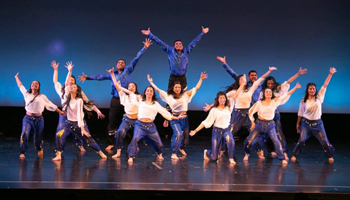 Mazaa Bollywood dance team showcases the various styles of Bollywood dance throughout campus. 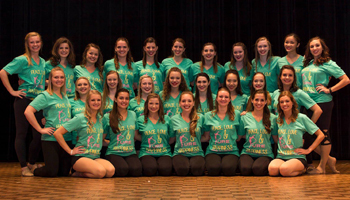 Pure Dance is a student-run lyrical and jazz performance group. 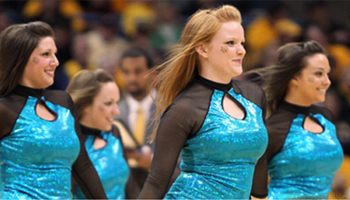 Study dance by declaring a dance minor in your sophomore or junior years. 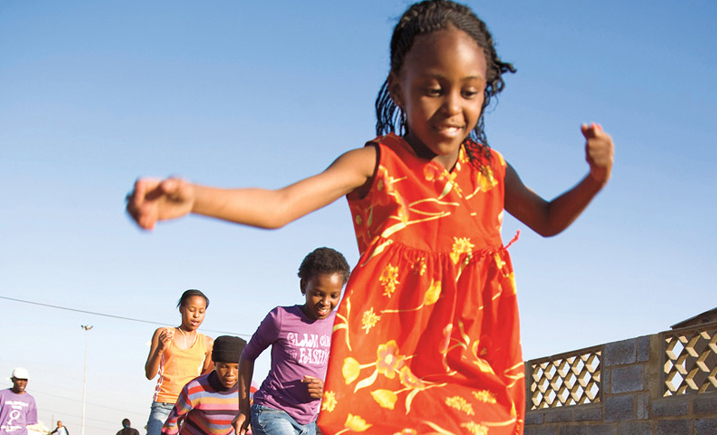 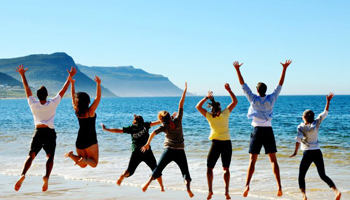 Study abroad in Cape Town, South Africa, and teach dance to children with Dance for All.